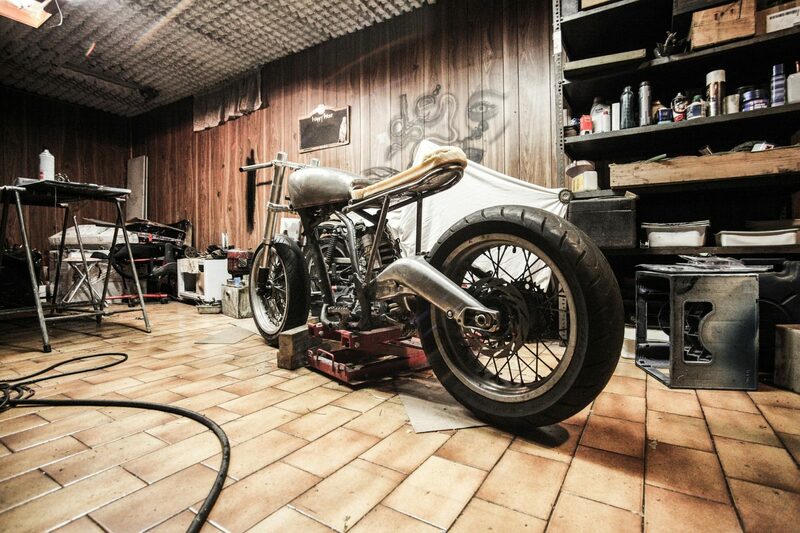 Looking For The Best Torque Wrench For Motorcycle Work? 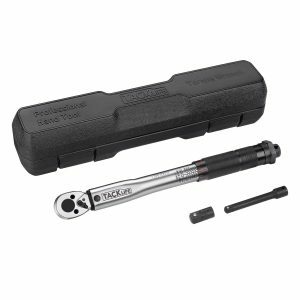 Here’s a look at our favorites, including our top pick – TEKTON 24335 1/2-Inch Drive Click Torque Wrench. You don’t want to find out that one of the fasteners is stripped or loose when you’re leaning into a 50-MPH turn. 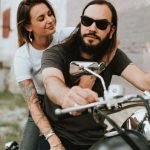 That kind of mistake isn’t as scary when you’re in a car with a seatbelt and airbags, but motorcycles aren’t that forgiving. 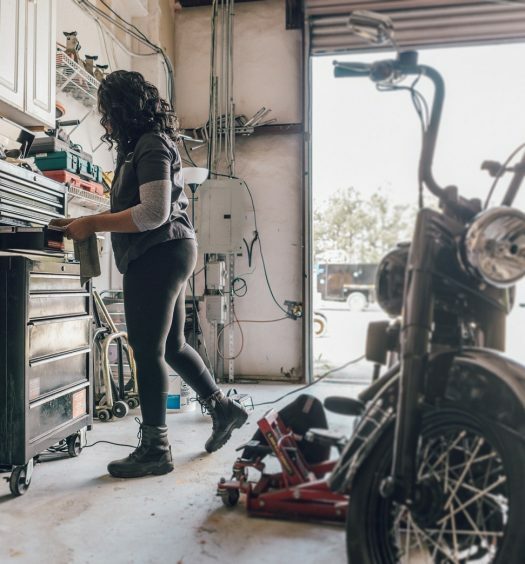 Whether you’re doing a quick checkup, basic maintenance, or full-on mechanic work, you’re going to need a torque wrench to make sure all of the fasteners on the bike are torqued to the right value. Torque wrenches take the guesswork out of tightening nuts and bolts, and eliminate the problems caused by over- and under-tightening. 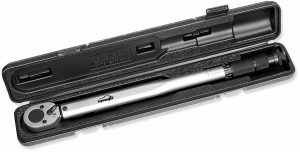 A good automotive torque wrench is a wise investment for your garage, as it can be used on your motorcycle, car, truck, recreational vehicles, and lawn equipment. First, it helps to understand how a torque wrench works. 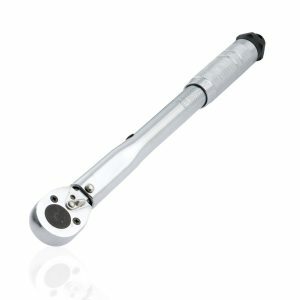 When you need to tighten a fastener, you’ll start by setting the manufacturer’s specified torque on the torque wrench. As you tighten the fastener, the wrench will calculate the pressure while paying attention to the preset torque specification. When the preset torque value is reached, the wrench will usually make a pop or click that you can hear and feel to let you know it’s time to stop applying force. 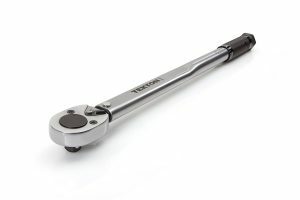 If you’re just doing basic maintenance and tightening on your motorcycle, a torque wrench with a range of 15 – 75 ft.-lb. 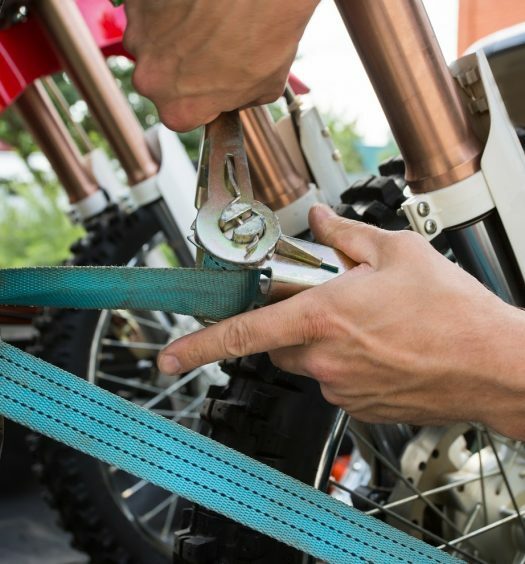 should be sufficient to handle forks, oil plugs, brakes, belt tightening, chain tightening, spark plugs, and all the other small fasteners on your bike. 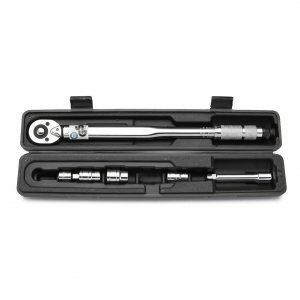 If you’re the mechanic that handles heavy repairs yourself, you’ll want a torque wrench with a range of 30 – 150 ft.-lb. to assemble major steering, drive, and mechanical components. Considering how all of these torque wrenches are in the same price range and have identical quality standards (all-steel construction, high-contrast dual-range scale, mechanical click), you can’t go wrong with any of them. I’d recommend getting both a ½-inch drive wrench and a ¼-inch drive wrench to widen the range of what your tools can handle. The wrenches that come with a 3/8-inch adapter are a good way to add limited-use capability to the wrench for the rare cases that require a 3/8-inch drive.